Having been paired with the team everyone wanted to avoid, Omagh, hopefully roarded on by vociferous home support, intend to take the game to their illustrious opponents. Despite losing a couple of key players, a free-scoring Lurgan appear well placed to defend their schools’ crown. The Academy girls though are determined to upset the apple cart and coach Dickson insists her team will be going all out in search of a major shock. 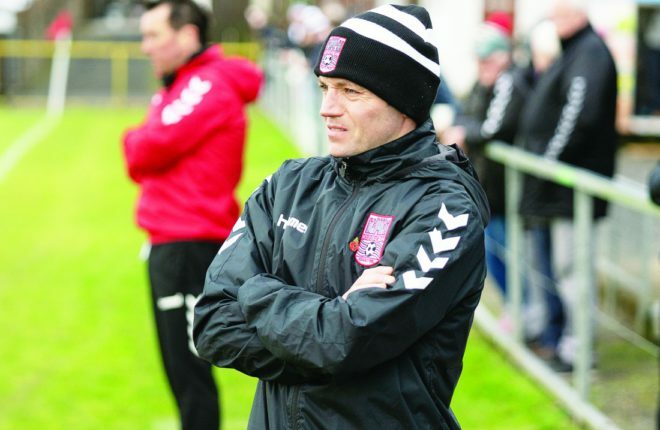 “We had a good 8-0 win over Raphoe last weekend which was a good confidence boost for us,” said the coach. Omagh go into the first round decider on the back of a promising sequence of performances and results, despite losing half a dozen regulars from last year’s squad. The Academy team is one in transition and if they are to pull off a shock result on Wednesday afternoon a lot will depend on the performances of their skipper and Ulster representative Laura Kennedy, striker Claire McFarland, left-sided attacker Honour Nethery and influential defender Cari McKinley. Omagh have lost just once this season when going down to the highly-rated Royal School Armagh. That 4-1 defeat in many ways underlined the enormity of the task facing coach Dickson and her team. “Armagh are very similar team to Lurgan, so the players will know what to expect. We’ll have a fair idea how they’ll set-up,” she continued. Squad: Rachel Armstrong, Cari McKinley, Carol Fleming, Laura Kennedy(captain), Sarah Graham, Chloe Frazer, Lauren McCollum, Naomi Morton, Honour Nethery, Claire McFarland, Jodie Hood, Christine Donaghy, Naomi Duncan, Jenny Hemphill, Holly Swann, Courtney Cunningham.